Does your synagogue need an efficient way to manage multiple websites in addition to the main synagogue website – for the synagogue religious school, synagogue preschool, etc.? 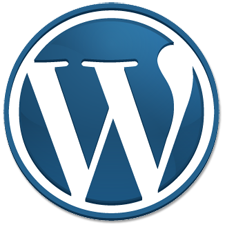 WordPress Multisite may be exactly what you need! With WordPress Multisite (also known as WordPress MU), it’s as easy to create and manage multiple websites all through a single WordPress dashboard. With just a little additional configuration to a standalone Wordpress installation, we can easily create a network of websites for your synagogue. It’s not uncommon for synagogues to have separate websites for the synagogue religious school, synagogue preschool, etc. This creates an administrative problem because these websites might be managed only by the staff for that area – so if the person in charge of updating those websites leaves, or someone else needs to update it, they don’t know how to. With a WordPress Multisite network for your synagogue’s website, each site in the network can have different features, content, users, functionality, dashboards, and even a unique domain name. They can all be administered through a single master WordPress dashboard by your network administrators. This can centralize administration of the websites, bringing everything together under one roof so that your synagogue staff and/or synagogue lay leaders can easily and efficiently manage everything. A template for these additional sites to use, one that will look consistent with the main synagogue website and the synagogue’s overall branding, such as colors, design, etc. We can also train you or your team on how to use and maximize a WordPress Multisite network once your website is ready. If you think that a WordPress Multisite network would be useful for your synagogue website, contact us for an estimate today!